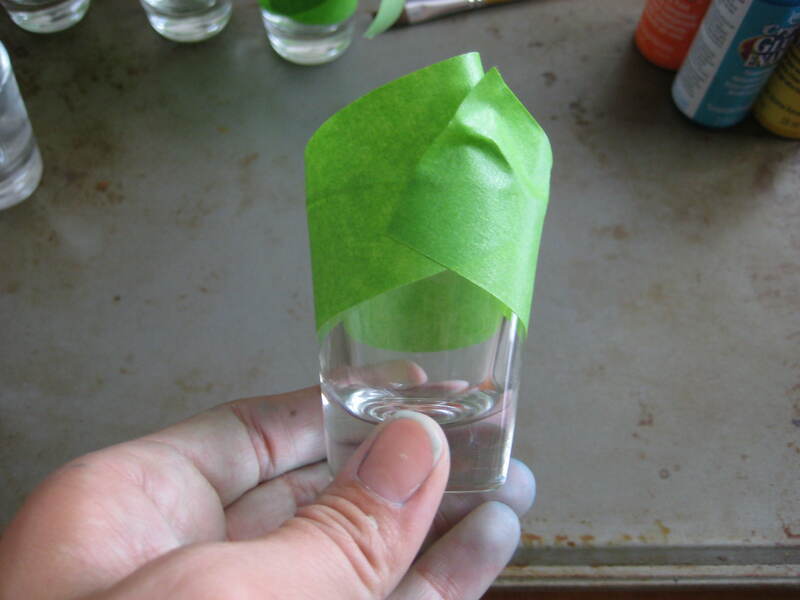 How to paint glass - C.R.A.F.T. Painting glass is easy peasy. You just need the right stuff. 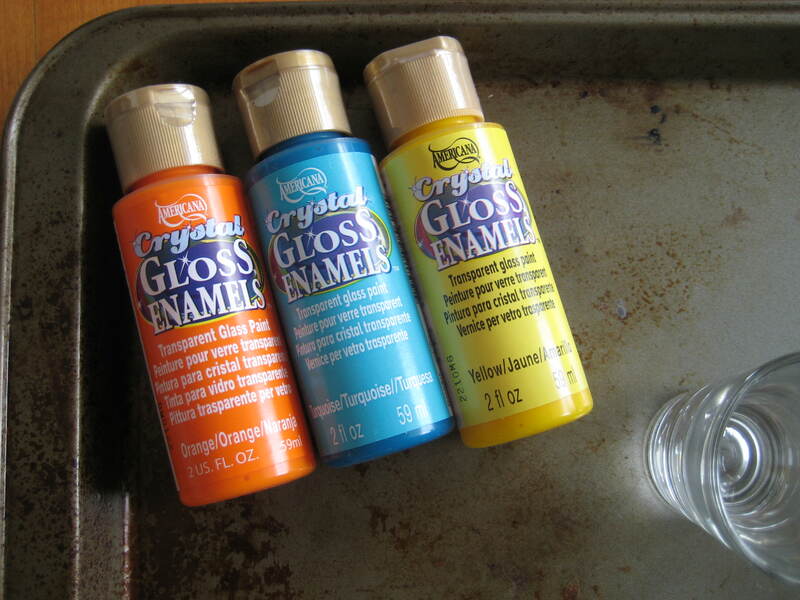 You need these paints from DecoArt. You can get it all at Michaels. 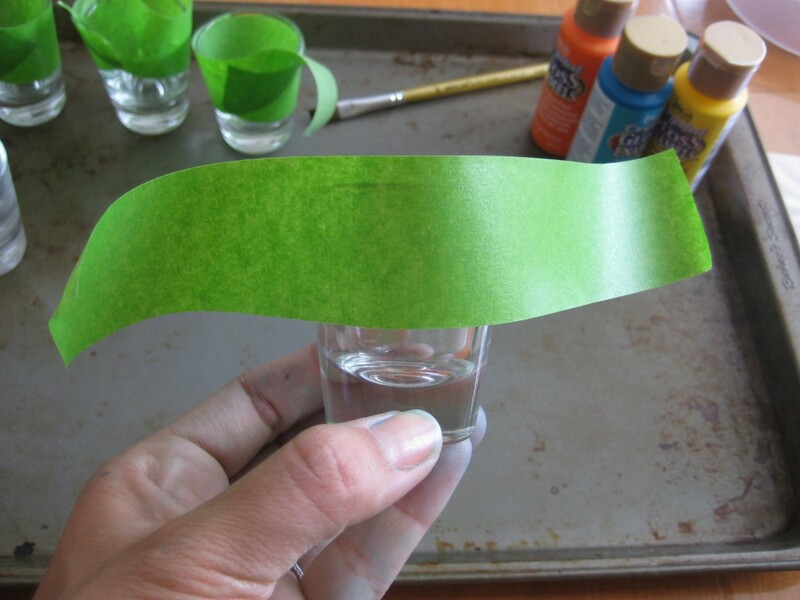 Here is what else you need to make the pained shot glasses. I got a steal on the set of 6 shot glasses. I found them at a local thrift store for $1.99. Wowza! Next, all you do is tape off the deisgn you want on your glasses. Frog tape worked the best for me, I attempted another glass project with plain ol’ blue painters tape, and the lines were not nearly as sharp and pretty. 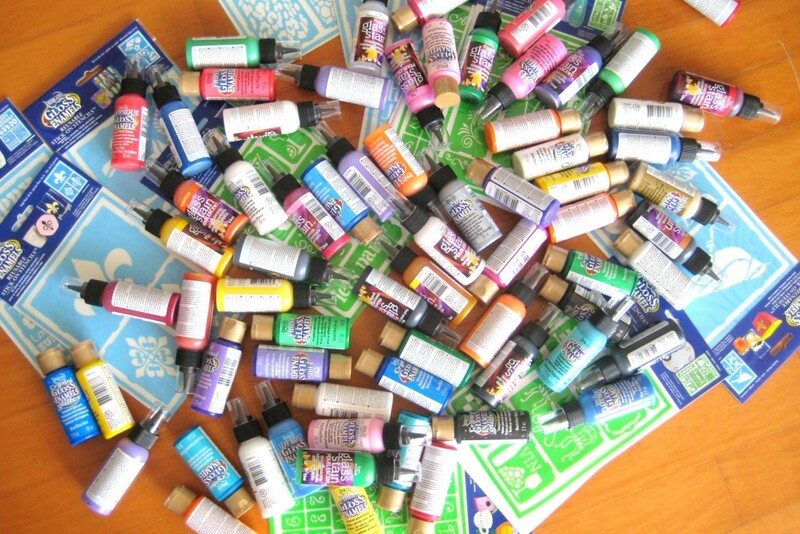 Then, use the paintbrush to paint your design. I put the paint on pretty thick. I probably ened up doing 3 coats. When your satisfied, place your tray of glasses in the oven and turn the oven to 275 degrees. (Don’t pre- heat the oven.) Set your time for 30 minutes, and voila… they’re dish washer safe and ready to be used! I even re-painted and stuck them back in the oven. It worked for me! FYI: If you’re painting something that is not going in the dishwasher, there is no need to bake it. 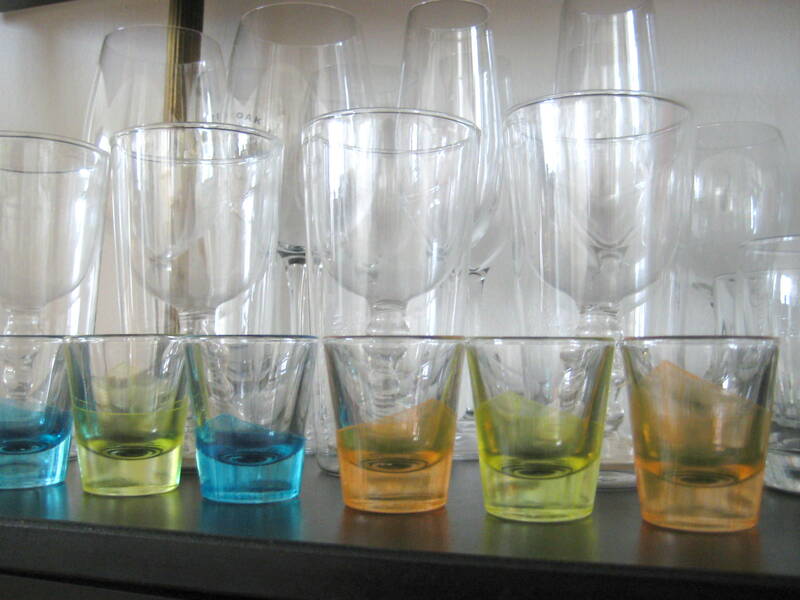 I love how they turned out, and they certainly jazz up our little bar area with some color. 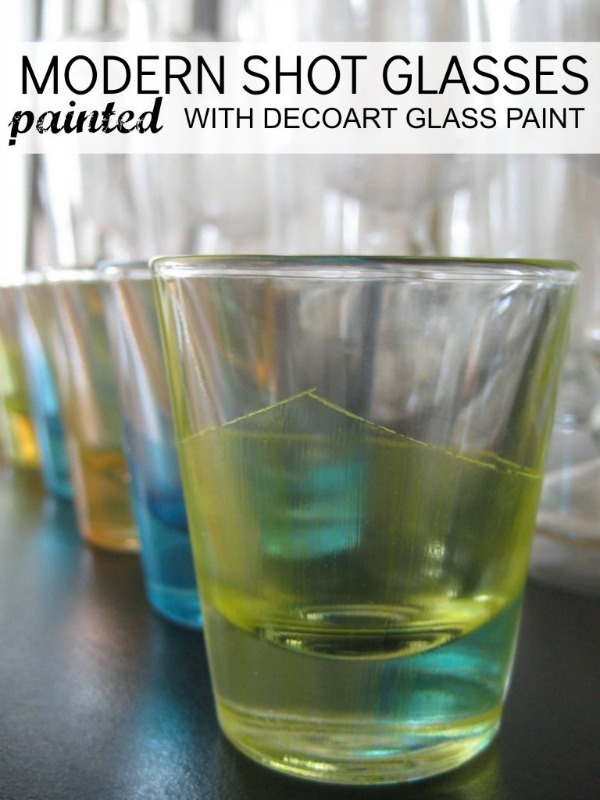 Have you ever used DecoArt glas paint? P.S. 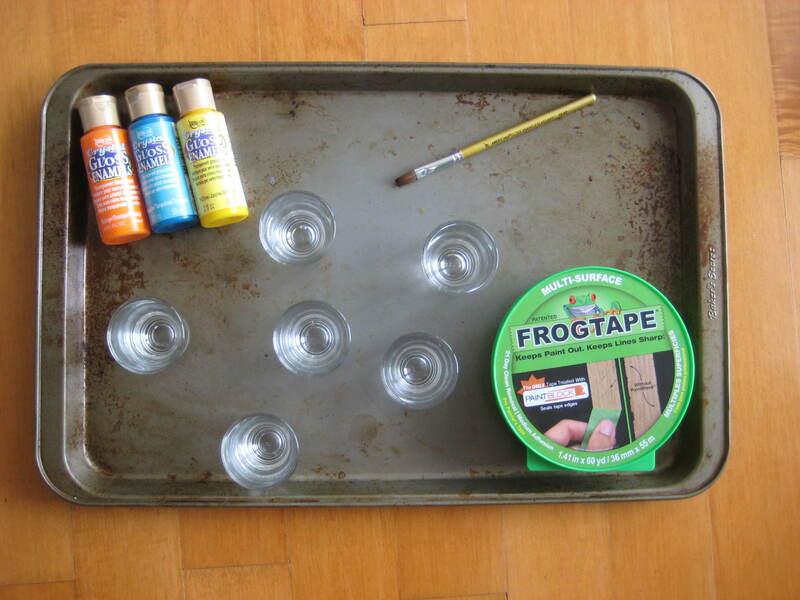 here are some more awesome glass painting projects from a few of my favorite bloggers: Flamingo Toes, Infarrantly Creative, My Sister’s Suitcase, The Silly Pearl, Craft Berry Bush, Sand and Sisal, Tator Tots and Jello, Madigan Made, East Coast Creative, Saved by Love Creations, Being Brook, and How to Nest for less. *This is a paid post for DecoArt. All opinions are my own. These are so pretty! What a quick, simple upcycle. Great idea – think of all the options. I will paint a few of my older glasses for summer parties this year. Thanks.